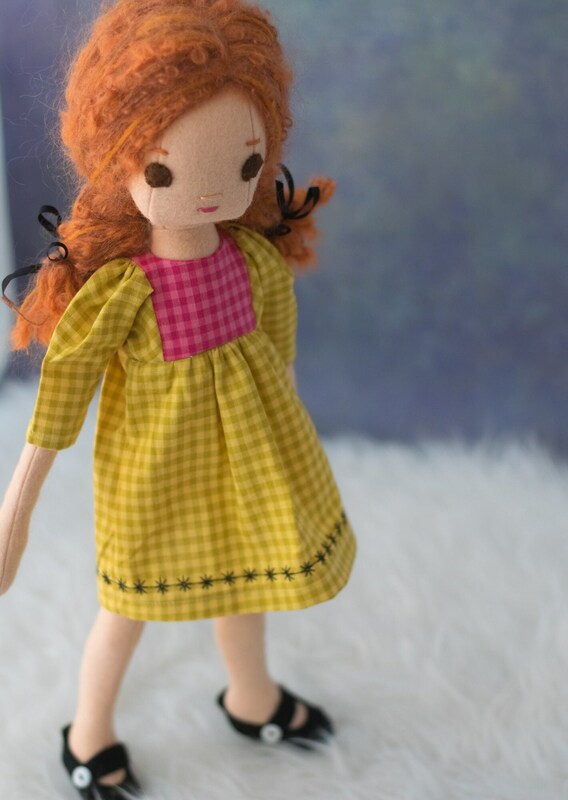 Phoebe is a handmade doll made out soft 100% wool from Holland. 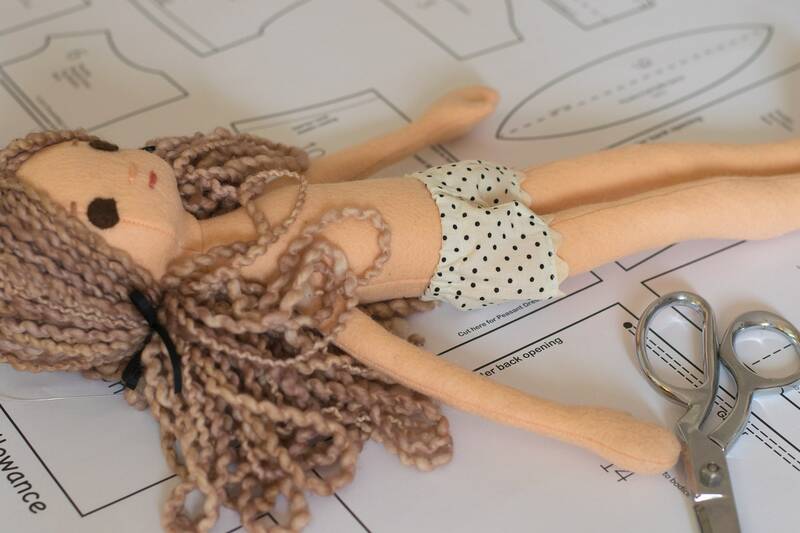 This Phoebe is 16.5 inches tall. 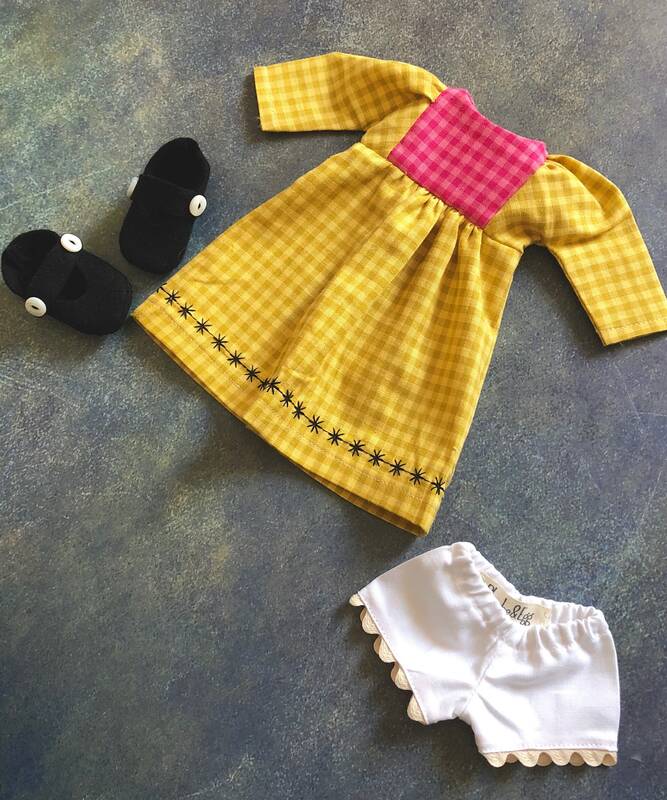 She is made out of beautiful soft natural materials like 100% wool felt from Holland. She is stuffed with squishy soft wool stuffing. 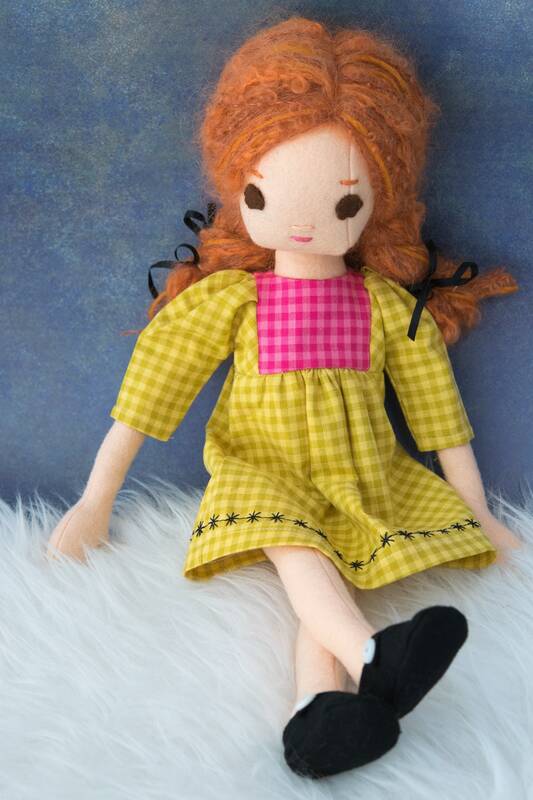 She has peach skin, brown eyes and curly red hair made from soft wool in braids with black silk ribbons. 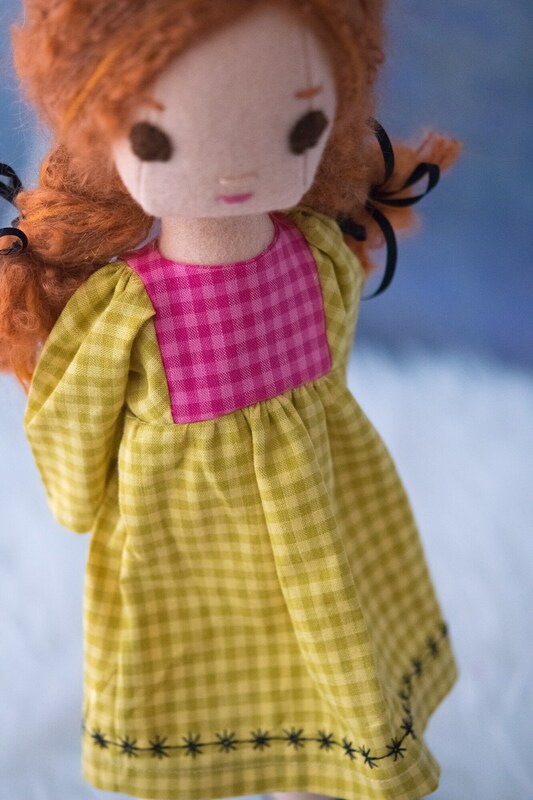 She is wearing is wearing a dress out of two yarn-dyed ginghams with black embroidery at the hem. 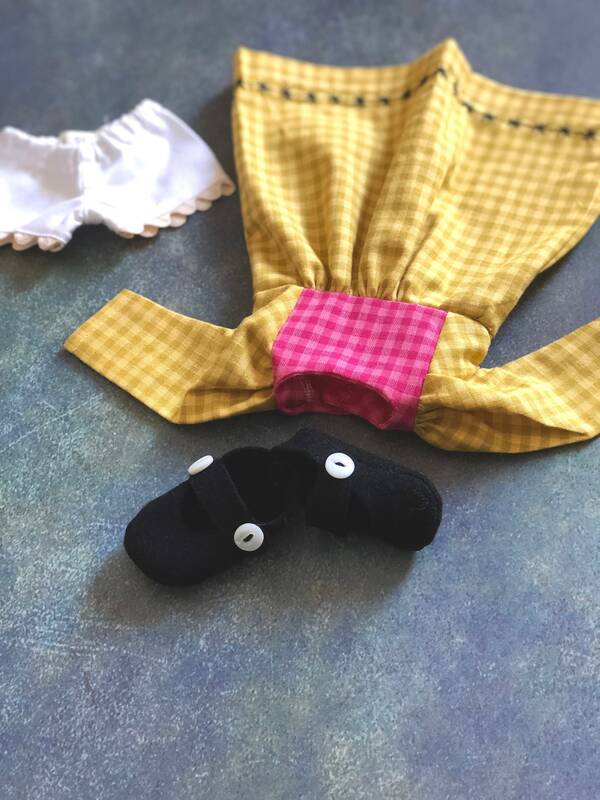 She also comes with black wool felt Mary Janes with white retro buttons and cotton bloomers trimmed in rick-rack. 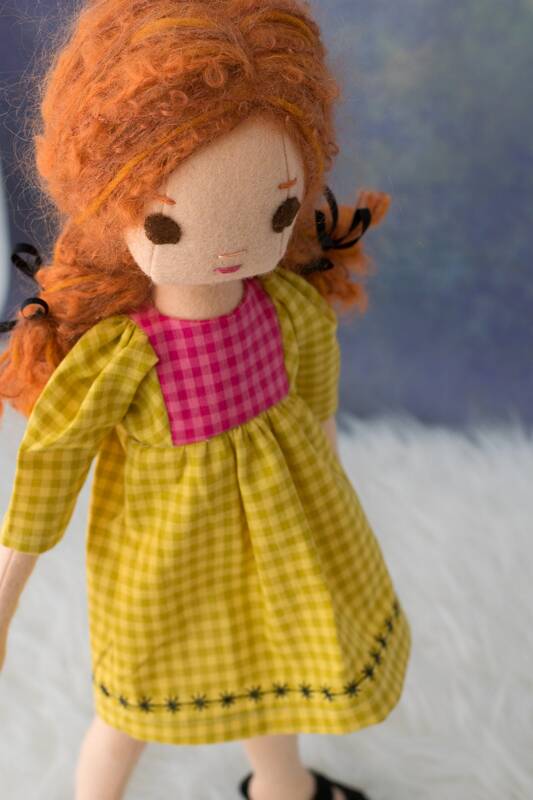 And Phoebe comes with her own set of dress patterns for both beginner and experienced doll dressmakers. She cannot stand on her own but is good at sitting and some acrobatics.